The human psychology is constructed in a way as to perpetually wait for a miracle to happen in his life and that psychological feature is magnified during Christmas holidays when you are saying good-bye to the old year and preparing to turn over a new leaf. 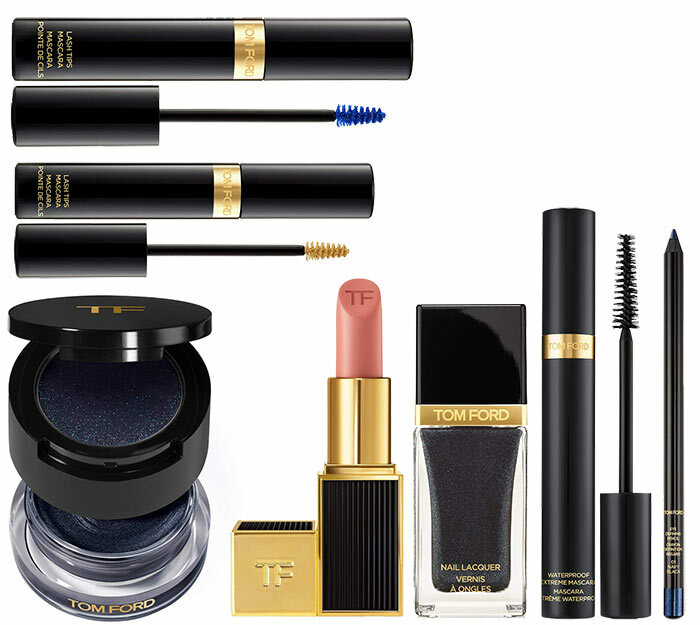 And all our favorite beauty brands seem to be real adepts of human psychology, including the popular and sought-after Tom Ford beauty brand, which has recently launched its Tom Ford Noir holiday 2015 makeup collection. The magnificent night-sky-inspired collection with some anthracite and golden nuances will be available in November 2015, but it is strictly contraindicated	to sit back and wait until November rolls up. Hurry up to preorder your preferable goodies at Neiman Marcus right now. But before getting familiar with the collection’s integral parts it is our responsibility to alert you that you may even preorder the whole collection so much attractiveness and magnetism all those pieces are promising to spread around. This two-tiered long-wearing and non-creasing eye color duo with its bottom layer featuring navy blue cream shade and the top layer presenting a sparkling powder can be applied on eyelids either alone or layered. In both cases you will bring into play a real night sky on your face, at times with twinkling stars, at times without. This smokey-eyes-contributing eye pencil in blackened blue shade with a soft and creamy texture may work its magic even in the hands of a tenderfoot in the makeup world. The eye defining pencil with an innovative rich color pigment can be glided both inside and outside the eyelid. The Tom Ford Noir collection draws your attention to the innovative lash tips mascara featuring two playful shades of pure cobalt and burnished gold. Through the long-wearing formula your flirty eyelashes will keep on fascinating everybody all day long. It is beyond doubt that you have always wished to wear long and full eyelashes that will enhance your flirtatious essence but you have also wished to acquire mascara that will additionally be your faithful companion whether you are walking in the rain or shedding tears. This waterproof mascara is definitely hitting the mark. Tom Ford’s treatment to your lips is just generous and grandiose. This matte lipstick in pink shade and with cream texture is a real cocktail of such exotic ingredients as soya seed extract, Brazilian murumuru butter and chamomile flower oil that will nourish and embellish your sultry lips. This shimmering black nail lacquer with long-lasting and high coverage formula will constantly keep the spotlight on your hands whether you are laying the Christmas table or decorating the New Year tree.